*IN STOCK* FUNKO POP! 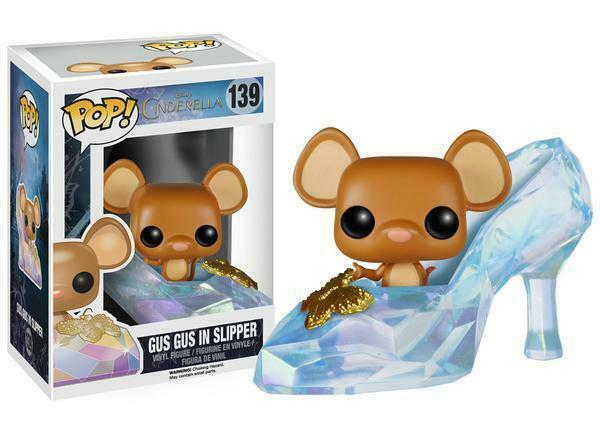 VINYL FIGURES Pop Disney: Cinderella Live Action 3 3/4" Vinyl Figure Gus Gus In Slipper #5194 Stock Photo **COMES IN A FACTORY SEALED PACKAGE** All the boxes of our pops listed are in excellent condition unless noted otherwise! Bid with confidence as we have earned a 100% feedback rating with super fast shipping!! FACTORY SEALED EXCELLENT BOX *IN STOCK* Don't delay or they will be gone!! All figures will be Packed Very Well!!!!! Any questions, please email me Thanks for looking Happy Bidding Summary of Our Selling Policies Payment - Check-out must be completed within 3 days of purchase. We accept Paypal. Shipping - Shipping via USPS. Please refer to listing for shipping charges. Packaging - Carefully package for extra protection. Delivery - Unless otherwise stated, most items are shipped within 1-2 business days of purchase. Refunds and Returns - There are NO refunds nor returns on collectible items unless defective upon delivery. 14 days return on defective items. Note - We reserve the right to cancel the order in the event item is no longer in stock. In case such thing happened, you will receive full money back.